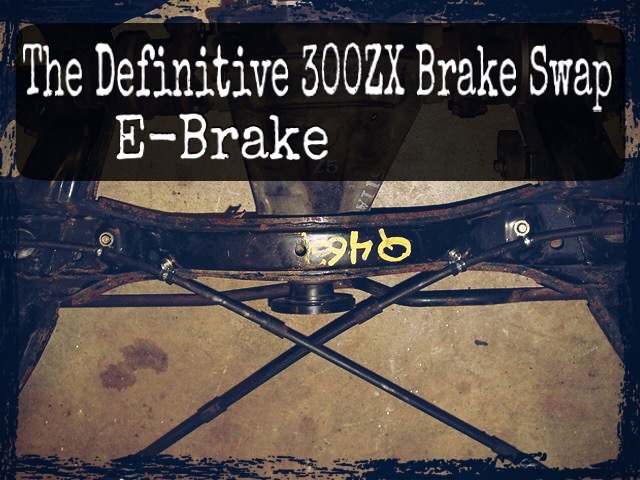 The e-brake conversion can be the most difficult element of the entire brake swap and requires more time and research to try and figure out the best solution. At the time of my swap, the only known option for S14’s was to splice the cables. 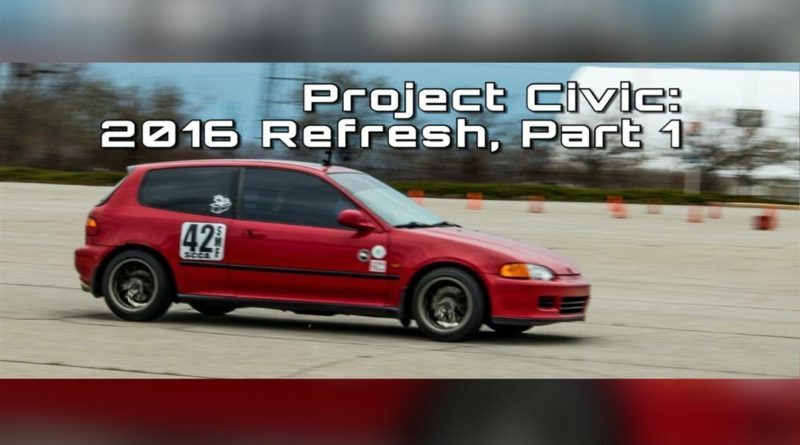 Since then the S-chassis community has learned a few new tricks. I have outlined the most common solutions below. 8-32 Bolts approximately 1/2-3/4 long. Hex head preferred. 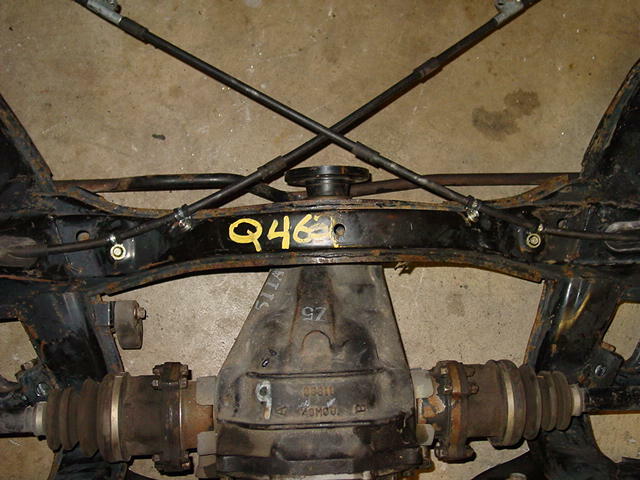 Long, long ago, we learned from Dave Coleman of Sport Compact Car fame that Z32 2+2 cables can reach the t-bar by rerouting them through the sub-frame. I can’t remember how he supported the front part of the cables however, many sources have confirmed that you still need a small bracket to secure the cable to the underside of the body. I found the picture below from NICOclub. I’m not sure if the original poster is still making these brackets. I did find similar examples of these on ebay. The R33 Solution. The Z32 2+2 cables work for the S13 however there is no way to make them work on S14’s. A few years after I finished my swap, the resourceful folks of the internet figured out that the R33 Skyline GT-S cables were a direct fit for the S14/S15 chassis. No modifications necessary. I only wish I had known about this before I went through the trouble of building my own! TN from Nissansilvia.com outlined the swap on his S15 and explained the cable installation in the picture below. 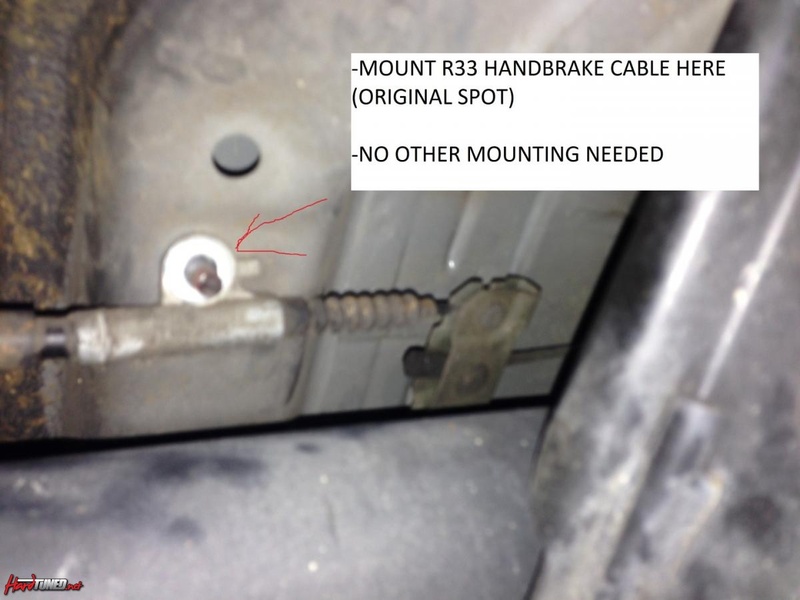 Search for “Buy R33 E-Brake Cables” and you’ll find what you need. When I originally performed the swap in 2002, my idea was to splice the cables. There is one issue that is difficult to resolve. The cable needs to be supported on either end. 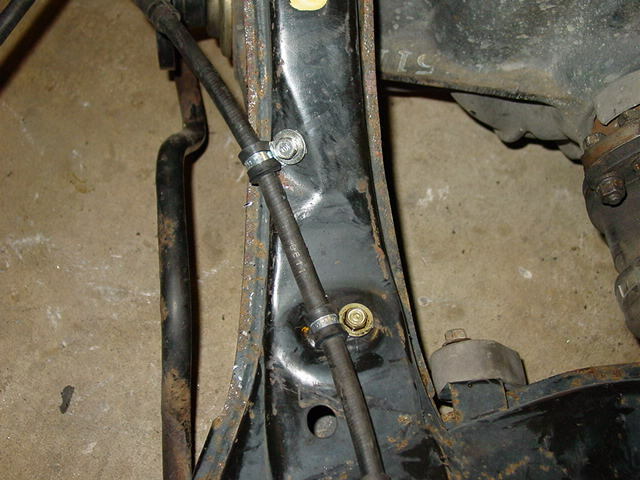 If you look at the original setup, you will see that it is bolted to the body in the front and bolted to the caliper on the other. This is difficult to duplicate when you do a splice. If you’re willing to give it a shot, read on! For starters, I refer to this as the t-bar. The cables go from this to the rear wheel. 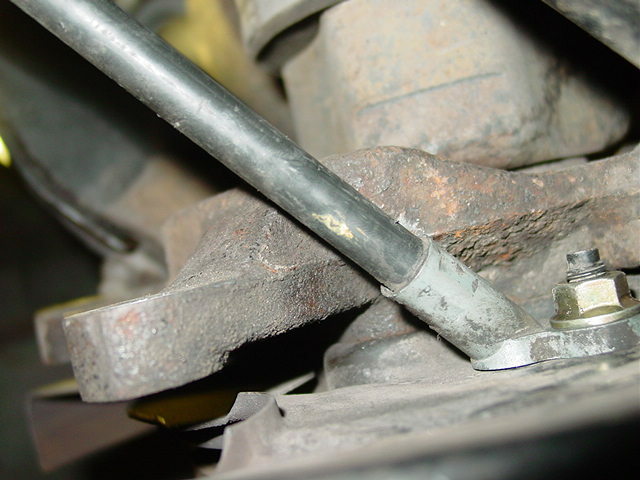 The best place for the splice is about 6″ away from the brake hub. I had originally tried to do the splice close to the t-bar. 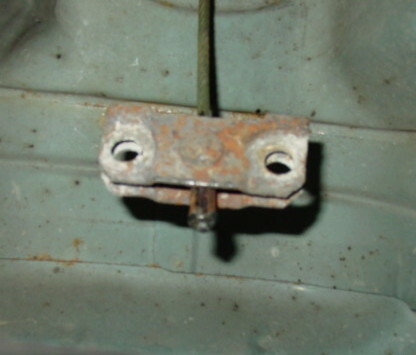 Under the car, here is no way to properly support the cables without creating a bracket. Not happy with that splice, I picked up another set of cables and worked on the splice outlined below. I used model airplane wheel collars to tie the two lines together. 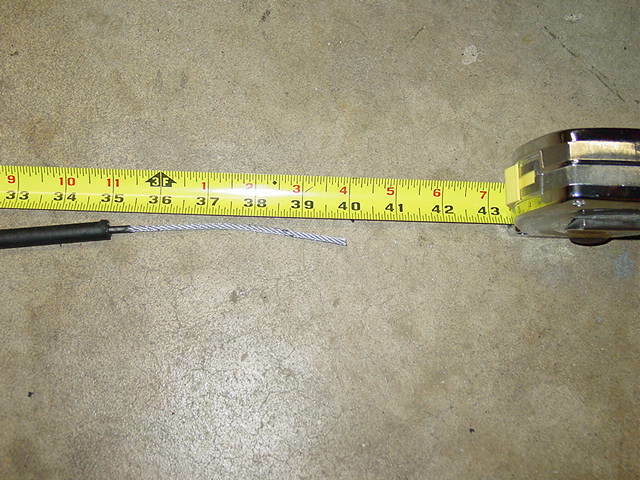 You will need 1/4″ collars or something similar to it. 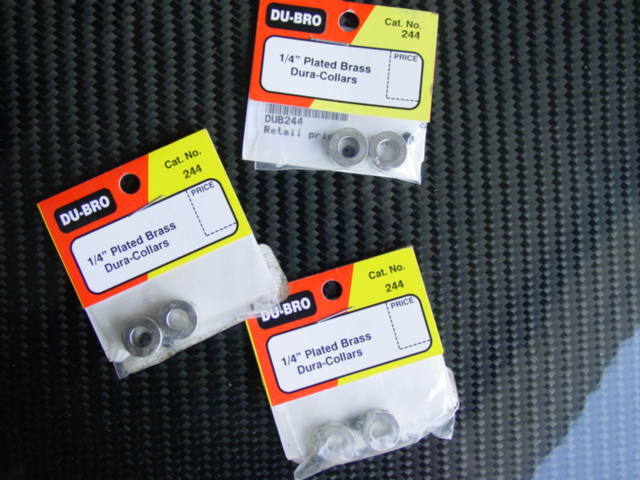 If you use the Du-Bro collars, pick up 8-32 bolts; the set screws that are included are not long enough. I used a combination of stock 240SX cables and stock Z32 300ZX cables. 2+2 cables are longer, but still not long enough for S14’s. Since you will be cutting the cables, it does not matter which you use. You will need to cut all of the cables to length. I prefer a Dremel tool with a cut-off wheel to do the work. It will give you much cleaner cuts. 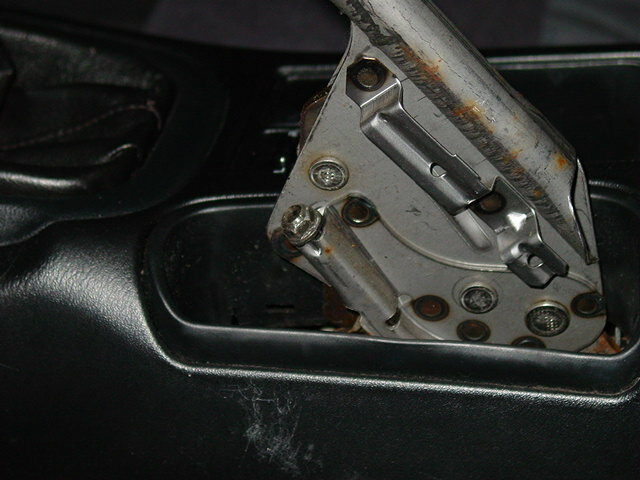 For the Z32 section, cut the T-bar end, cable and all. This will allow you to pull the cable out of the tube. Next, pull the cable out then cut the tube to length. I cut the rear section to approximately 6″. 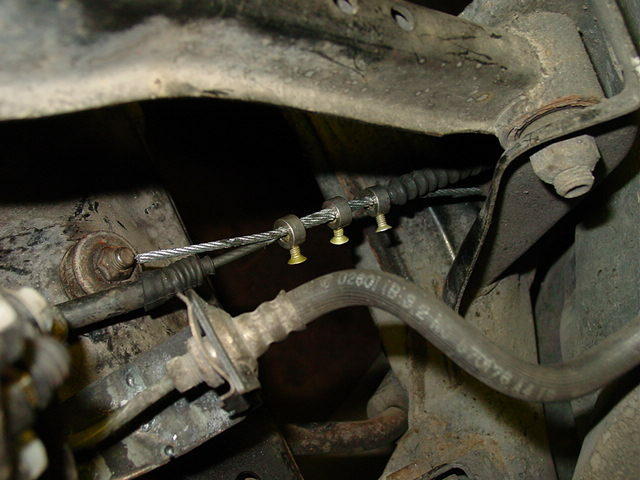 This allows the splice to sit over the control arms giving you relatively easy access. 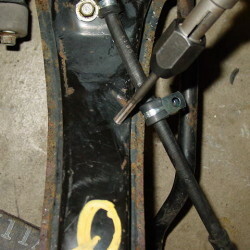 For the front section, you will need to cut the rear section of the cable. Cut off the end, and pull out the cable as you did for the rear section. You will need to cut the tube to approximately 31″. Once you finish cutting the tubes, you will need to slide the cables back in and cut them to length. You will want about 5-8″. You can leave more and cut them shorter once the splice is complete. Once you cut the cable to length, you will need to strip back the black plastic coating on the cable itself. Removing the coating is tedious, so be patient. Once the tubes and cables are cut, attach them to the hubs. 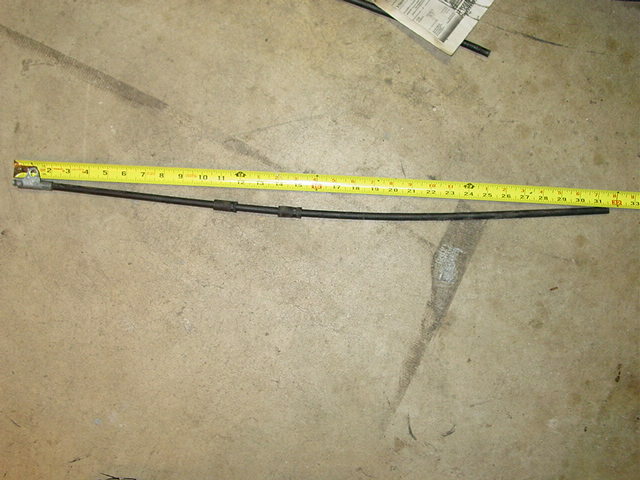 The front portion of the cable will need to be attached to the sub frame. I’ve shown you the process with the sub frame removed, but it can be done without removing it. 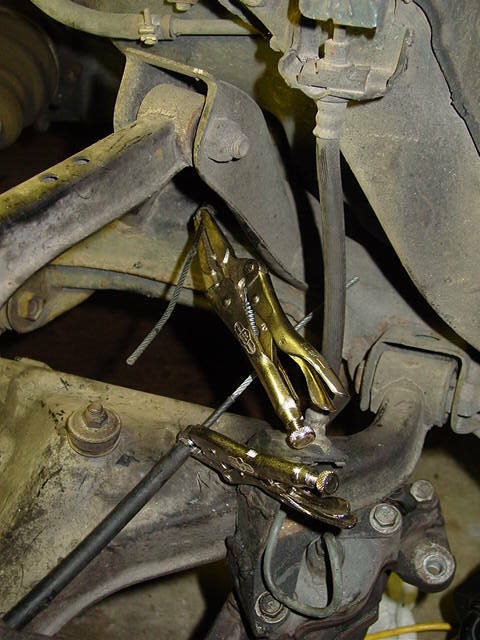 In order to support the cables, you will need to use .5″ insulated clamps, Summit Racing part number: SUM-G1882. The sub frame already has a drilled and tapped hole that you will need to use to mount the cable. Since I had the sub frame out, I added a second pair of holes using a drill and tap. The tap size is 6mm x 1.00. The second pair of clams is not necessary. 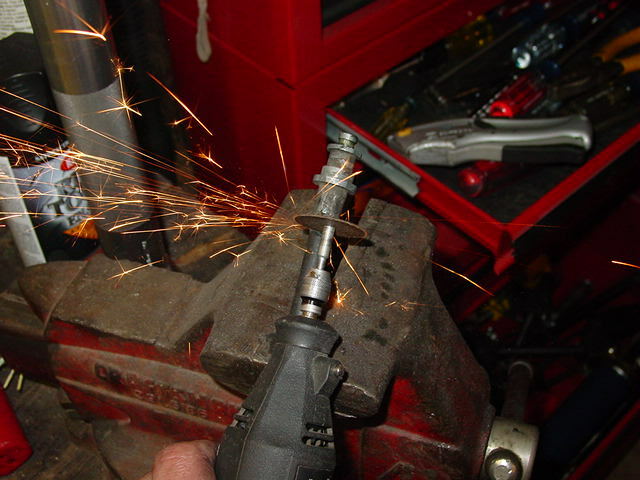 If you plan to add an extra clamp, find a flat spot on the sub frame, drill and tap. The extra clamp provides more piece of mind. 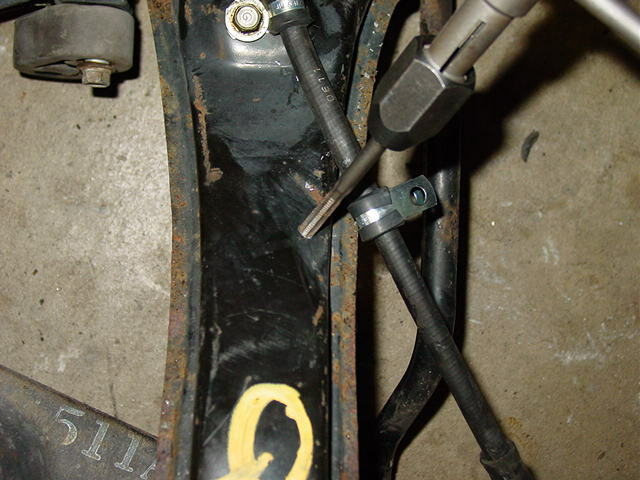 When installing the clamps and forward portion of the cables, do not completely tighten the clamps. You will need to adjust the length of the cables (especially if you have removed the sub frame). Cable routing before the cables are attached to the t-bar. Attach the cables to the t-bar. 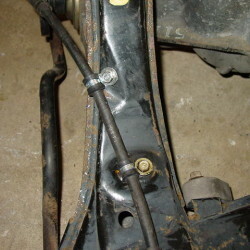 Install the sub frame (if you’ve removed it). 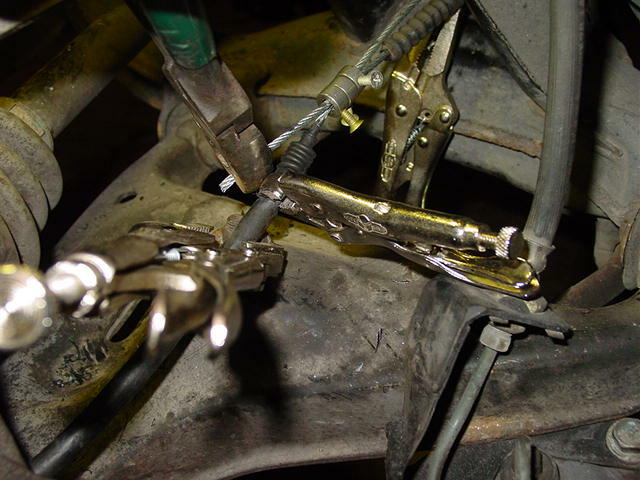 Once everything is back in, you will need to tighten the clamps. The length of the cables and where you attach the clamps is more of a matter of feel than an exact measurement. You’ll be able to tell once you get in there. 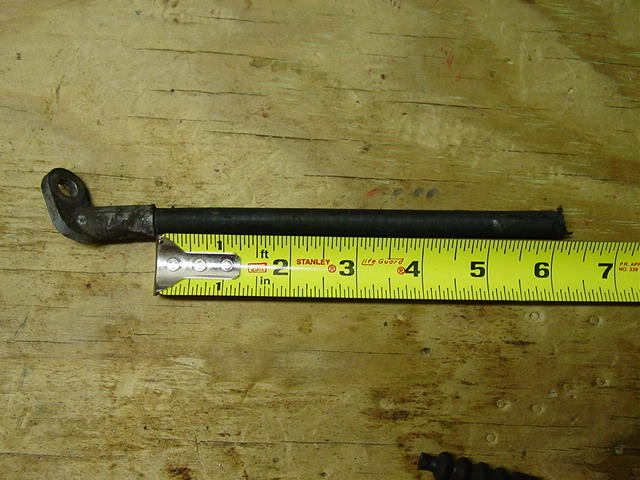 Before you create the splice, you will need to completely loosen the adjustment screw on the e-brake handle. This is important in that it will help you get the last bit of slack out of the cables once everything is together. 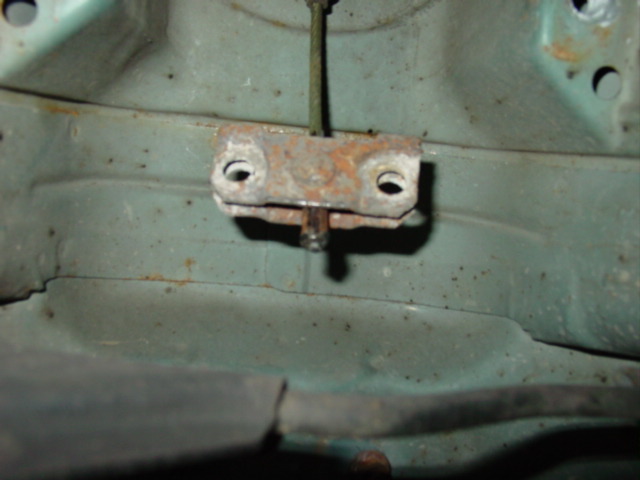 Make sure the e-brake handle is in the disengaged (down) position once you’ve back off the nut. This is the hardest part. I had to go through this process twice before I really had the tension correct. 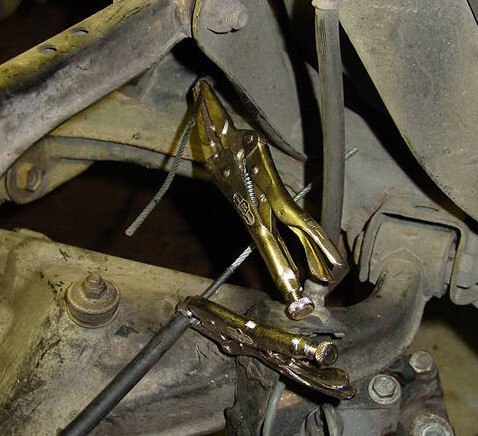 You will need a few locking pliers, or Vise Grips, to do this. You have to get as much slack out of the cables as you can, then hold it while you do the splice. Pull the slack out of the front cables and clamp the line. 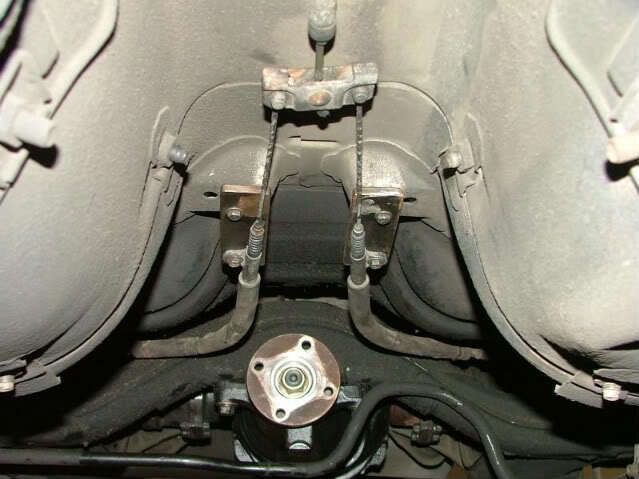 For the rear portion, you will need to relieve the slack in the cable as well as preload the brake shoes. This is done by feel. Pull on the cable until it stops, clamp the cable and then check to see if the rotor can move. If it cannot, then you are ready to move on (don’t worry, you will get some of the slack back once you remove all of the clamps). The last part of the process is to slip on the original dust boots and then the collars, and pull the forward portion of the cable as tight as you can, and tighten at least one of the clamps. After that, tighten the rest of the clamps. I want to add this again, slip on the rubber boots before you slip on the clamps! This is what you should see once you’ve removed all of the pliers and what have you. 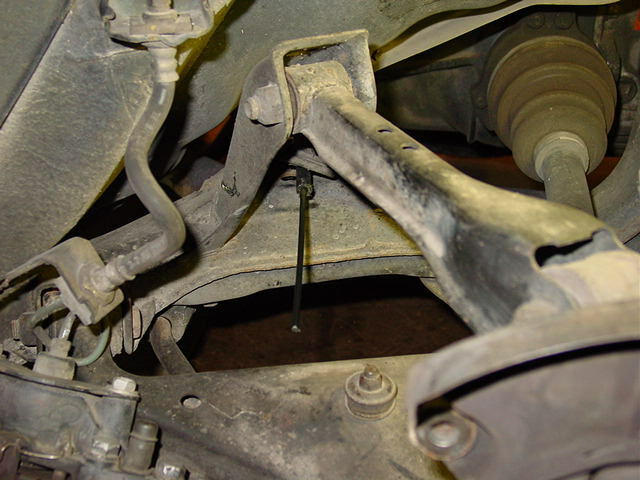 You will probably need to tighten the adjustment on the e-brake handle as well as adjust the drum brake itself to get the rest of the slack out of the line. You may even need to come back and tighten the cables by the splice as I’ve already described once you’ve put a few miles on the setup. At the end of the day, I’m glad to see that there is a solution for a functioning e-brake. Whichever you decide to use, know that it’s been done before. 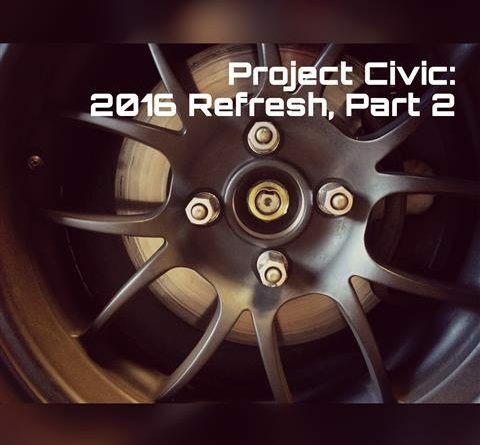 The next sections will cover the master cylinder swap. Click the link below for the complete series. 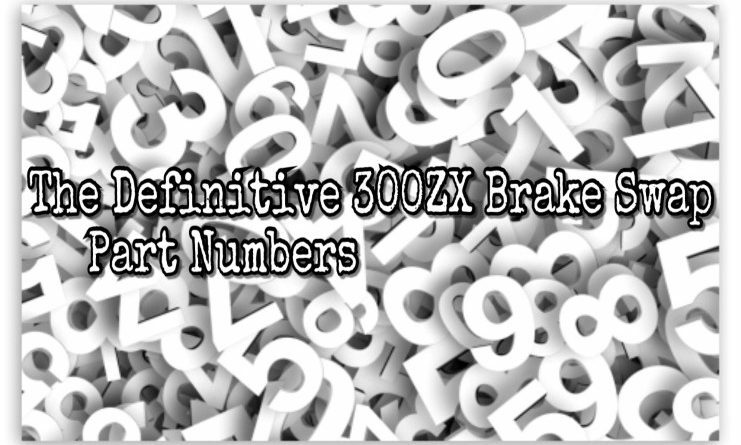 While looking for sources of conversion parts, I stumbled upon a couple of unique solution for the e-brake. 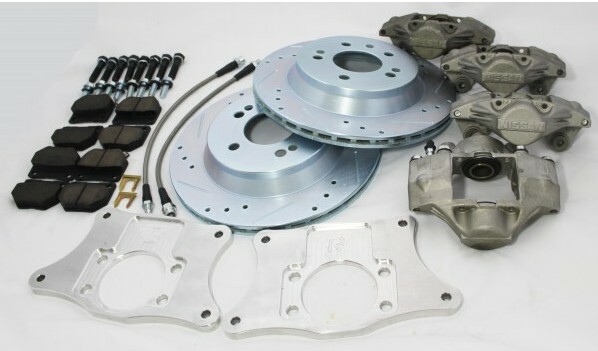 For normal use, the drum brake will do a fine job of keeping your car from moving. If you plan on drifting, you may need something more aggressive. Check out these kits below. 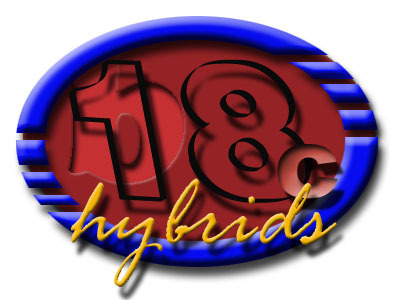 Silvermine Motors: Click on the image to go to their site. 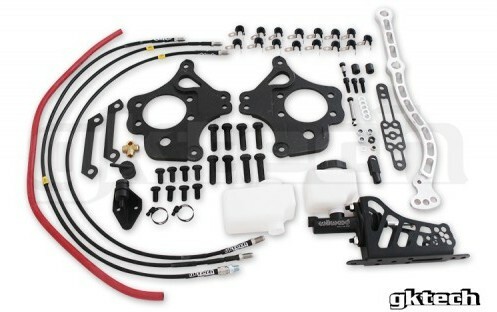 Another dual caliper kit by GKtech Click on the image to go their site.